The summer is calling! Today we have an interview with the young Spanish woman Victoria Padial Hernández. She is the only one from her country Who starts in the World Cup series. This is not surprising, because the mediterranian country isn't famous from winter sports, but here is a woman who can change this. So get your coctails to your hands, sit back, and enjoy our brand new interview with this beautiful and always smiling talented girl! BFH: When did you start biathlon, and why did you choose this sport? Vicky: I live in Granada in the south of Spain hot land near Africa, I began practice cross country ski when I was 7 years old with my family and friends in our high local mountains (3.400m). I love skiing but after years of training I was a little bored so I was thinking about biathlon because I saw this sports show in tv. I started shooting with a rifle very late when I was 19 years. BHF: You achieved your best results in the last season, and in Sochi you reached your first world cup point. How do you see your last season? Vicky: we are very pleased with the last season because it was our first complet season in WC and we have achieved our goals and now we have more motivation to continue to work and improve for the next year. BFH: Everybody said Sochi is the strongest track ever, but you reached your best result there. What can you say about this track? Vicky: I really love the Sochi tracks, in my town Granada we have a lot of mountain and hard uphill so this type of relief is good for me and my preparation in Spain! Sochi is different from all other tracks and that makes it more special and exciting Olympics games for all spectators. BFH: After this great result what place could be your objective in the next year's Winter Olympic games? BFH: And what's your objective in the World Cup races? Vicky: Take more point regularly in all types of competitions and assure a permanent in WC without more wildcard and relax on this issue. BFH: Your results are better and better year by year. Tell to us please, how will you prepare yourself for the next World Cup season? What's Victoria's secret? Vicky: I am training alone, in spring I´am training in my town practicing cycling, montain bike, runing and acurace shooting in the olimpic center where the next 2015 World shooting championships will take place. In june I begin specifique biathlon training with roller skis in France where my coach Alex NAPPA live. My only secret is the passion I put in everything I do. BFH: Will you have special trainings for the Olympic games? In what races are you planning to start in the pre-season? Vicky: We never follow the same training plan every year. Like my coach Alex said me in 2008, if we do the same thinks we stay in place and if we copy Russian or French training method… in the best case we will be just behind them. Simply because we don`t have the same budget. We must develop our own method and you must participate because we are alone. I trust him and I did not regret. 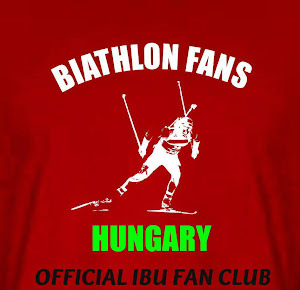 We are thinking participate in the biathlon summer world championship but surely in the French biathlon summer tour. BFH: Which place and what kind of competition is your favourite and why? Vicky: This season I have known new tracks and I love all of them. Each place have some special details but I prefer sunny place like the first days in WC Sochi! My favourite competition is the pursuit, I like so much the fighting spirit but I want to make a mass start I think this race will be the best format for me! BFH: What's your best memory from your career so far? Vicky: I always remember my second place in the International cross country championships Topolino – Italy when I was 13 years old but this year I experienced moments very intensive like my first pursuit in a WC in a great biathlon atmosphere in Oberhof and of course my first wc point in Sochi! BFH: Now the season is over, you can relax. How will you plan to spend your free time? What do you like to do? What hobbies do you have? BFH: Thank you the interview, we hope you the best! At last please tell some words specially for the Hungarian fans! Vicky: Thanks all of you for your great support in all competition with a great atmosphere I hope see all of you next year in an exciting competition! !